That's a great color, looks super! Geez, that's nice too! Is that the original paint? Looks like you could go swimming in that black . Wish I could have gone up there!!! Looks like it was fun! 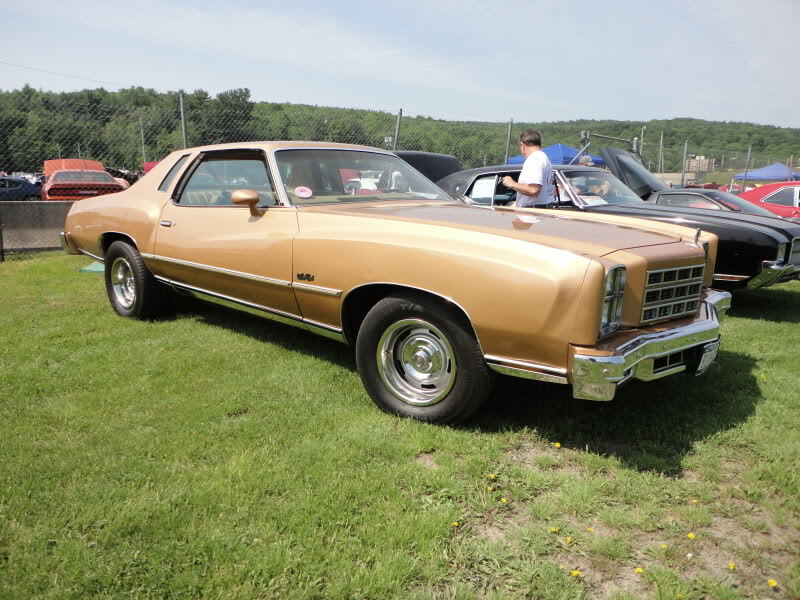 THe 73 was painted before I owned it. That picture is from a few years ago but it looks pretty much the same.Try for September in Lake George NY,its kind of far for you but its an easy trip on I90 west then to I 87 north. I'm trying like heck to get the car done....at this rate, I'm thinking about a short block. Who the heck hit the minus sign in the 1st block on this thread????? 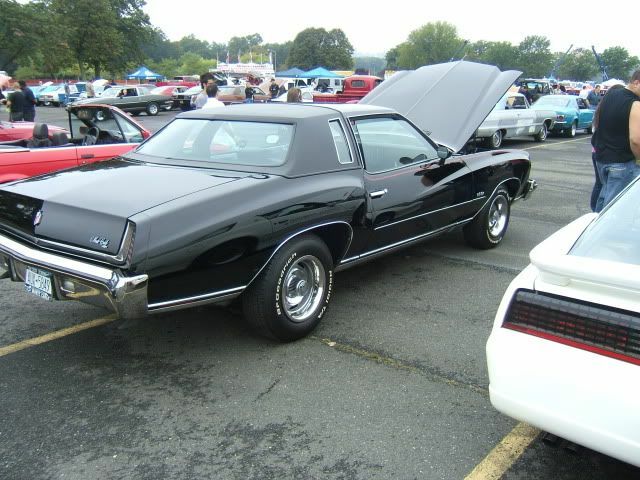 The Monte body really looks great in black. Many body styles seem to look great in a certain color. 77mali wrote: Who the heck hit the minus sign in the 1st block on this thread????? ??? The what? Thanks for the compliments,Im never buying another black car though,too much to keep clean. It was red on the 1st pic which means someone hit the minus. So I hit all your comments on this thread with a + (to offset the - & add to your street cred) LOL. Paul,I think I might have done that my self on accident.I am kinda clumsy with the keyboard sometimes,thanks anyway. I dont think anyone would do that to break chops but I guess you never know.